I LOVE this easy crank can opener. It is the BEST for opening #10 cans. Seriously! THE VERY BEST! 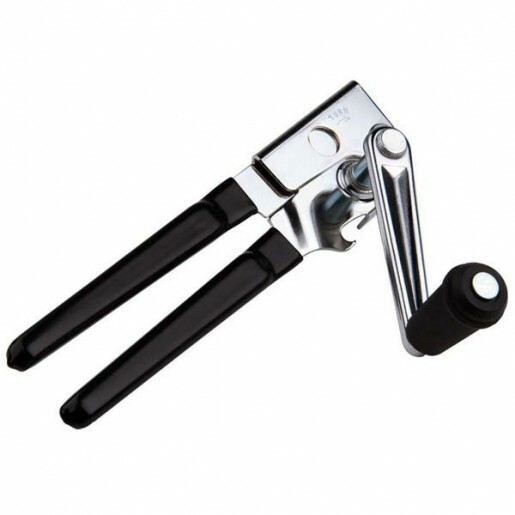 The longer handle design provides added leverage making it glide around the cans and Swing-A-Way makes the best and most reliable can openers in the industry. Every household needs a manual can opener.